Today is my birthday! Finally after years of waiting I'm able to drop the -teen from my age, I'm officially 20 years old. Now, this seems to come as quite the surprise to some people, in fact most people I meet are surprised at how young I am. I've always been older than my years, a phrase that has been used to describe me countless times, simply because I've often been forced to grow up quicker than others. I've suffered with a lifelong genetic condition all my life and I've grown up knowing my reality is different to others, having to deal with major surgeries at a time where my peers are only just beginning to find themselves. I've always related more to adults, always enjoyed their company more and I thought that at 18 I would finally feel like an adult but people like to remind me of the -teen that still sits within my age so, finally I can wave goodbye to my teen years. 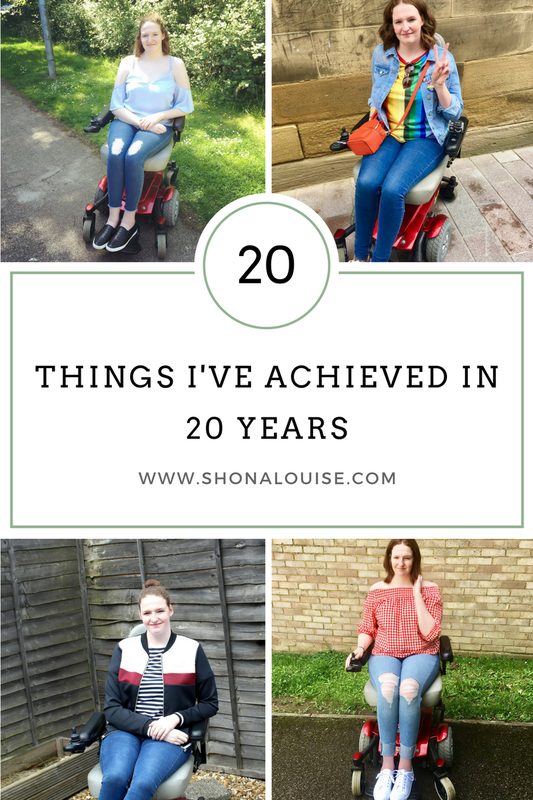 I was going to do a '20 things I've learnt in 20 years' post but after feeling a little negative towards my birthday, since it's another birthday I'm spending in chronic pain, I thought it might be nice to celebrate all the things I've achieved. I think writing this post will allow me to think more positively towards my birthday, a celebration of my strength rather than a marker for what I've missed out on. So, here's 20 things I've achieved in 20 years, from the small things all the way up to the big things. We all measure success differently but nearly 6 years into blogging I think I can finally say that it is successful. My numbers and stats might not be great but my blog speaks to people on so many levels, it educates people and open's their eyes to issues that they haven't experienced themselves. It's made a real world difference to other people's lives and to me, that's success. Linking on from that, I've used my blog and social media platform to educate people on everything from ableism to accessibility. I get tweets and messages every week from people who have learnt something from me and that is the best feeling. In the past couple of years I've started writing for charities and companies outside of my blog a lot and my pieces have even been published in various magazines. I regularly write for Scope, a disability charity, and I post about Marfan Syndrome every week for the Hypermobility Syndromes Association. I've expanded my reach beyond my blog. Since last year I've been working with The BHF on various different projects, it started off with me being part of their media campaign for some new research that came out about my rare genetic condition, Marfan Syndrome. Since then I've been part of their patient advisory group and I've helped out on specific Marfan related projects too, I honestly never saw myself having such a close relationship with a charity like The BHF and I pinch myself every time they email me for my thoughts or advice. 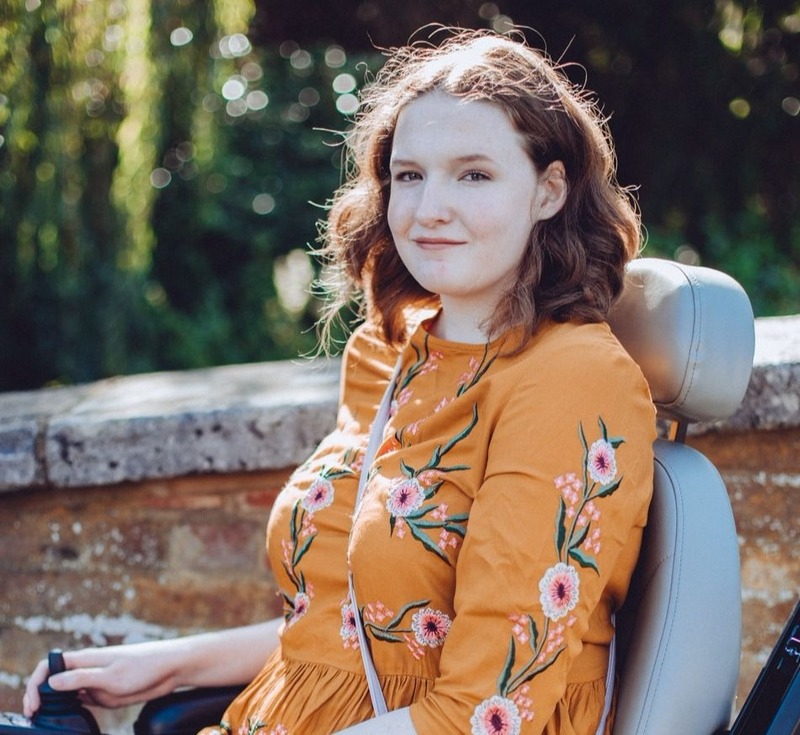 This year, quite recently in fact, I wrote a piece about my experience as a young disabled woman for a book that is due to be published next year, a book that collates 20 stories from Britain's youth, a diverse collection of experiences. For as long as I can remember I've always wanted to write a book or have a piece of my writing in my book and I honestly never thought that I would achieve this goal so soon. It still astounds me that I left school with mainly A's and B's in my GCSEs, simply because I missed some of year 10 and a lot of year 11 due to my health. Even when I was in school I ended up sitting in the library doing worksheets because I couldn't climb the stairs to get to my lessons, so it really is incredible that I got the grades I did. I've raised awareness of Marfan Syndrome in more ways than I ever could have imagined. I've been on the radio, in newspapers, I've done online interviews and used my blog and social media to spread the word about this rare condition. You've probably seen my posts this year about how one of the local bus companies in my area have failed to provide a suitable service to me, a powerchair user, on several occasions and this culminated in me having a meeting with some of the managers at their offices. We discussed the issues I've had, what steps they are taking and made a plan for me to contribute some documents to their driver's training so they have a better understanding of what it's like when myself and other wheelchair users can't access the bus. In the past year I've managed to flag up access issues to 2 shops who have both gone on to buy ramps to enable wheelchair users to access their stores. If I hadn't flagged these issues it's likely that the shops would still be inaccessible, so I'm pretty damn proud of that. I've attempted to improve the access of countless shops but so far only 2 have been receptive to change, but I'm determined to keep pestering places until they improve. In the past 4 years alone I've had 3 major surgeries, 2 spinal surgeries and one hip replacement at the ripe old age of 18. I've had more operations, and there's more to come, in the space of a few years than some people experience in their whole lifetime. I know that I'm stronger for it, they aren't nice experiences but they've definitely shaped my personality and character in a positive way. For as long as I can remember I've been scared of lifts, avoiding them where possible and dreading times where I'm forced to use them. As my health went downhill I was forced to use them more and more though and when I started using a wheelchair I had no choice at all, this didn't make the experience any easier for me though. I've been using lifts about every week for probably about 2 years now though and I no longer panic so much, I have my wobbles but for the most part, I've overcome my fear. When you have a rare condition you often find yourself in the position of seeing a doctor who either doesn't know enough about your condition to help or doesn't believe the symptoms you are experiencing. I learnt how to advocate for myself and stand up to doctors from a young age but particularly after my first spinal surgery when I was displaying signs of a nerve complication but all the doctors shrugged the problem off as soft tissue damage. I fought and fought for answers though and in the end, I'd been right all along. Since then I've advocated for myself on many occasions, often bypassing ignorant doctors to find alternative routes to the support or treatment I need. It's difficult to remember a time where I didn't feel anxious, anxiety has been a part of me and my personality for a very long time. I constantly worry and question myself and my actions but I've learnt how to cope and deal with my anxiety over these past couple of years and I'm more equipped than ever before to deal with it. I honestly never thought that my anxiety would improve, I thought that it would just be something that I'd have to learn to live with and whilst that is partly true it's also true that I now have the tools to recognise my anxiety and deal with it before it escalates. I've also learnt to recognise when I need extra support and help though and I'm proud of myself every time that I put my hand up and say 'I'm not okay'. I must get an email or a DM on Twitter every week or so from another disabled person who has been inspired by me or my actions. 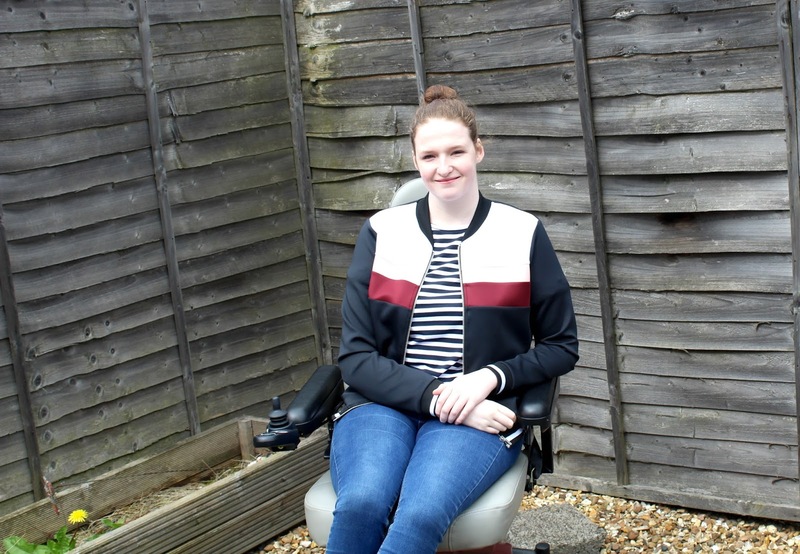 Sometimes it's disabled people who are inspired to set up a blog and sometimes they are inspired to use their voice more or to speak up for themselves on public transport when things go wrong. I love that what I'm doing is inspiring other disabled people to do the same because the more voices that are heard, the bigger impact we have in this world and the changes we make. I used to think that the more friends I had the better, I used to think that I wasn't allowed to cut family out of my life because they were blood. Well, not anymore. I no longer hesitate in blocking people, unfriending on Facebook and ignoring texts from toxic people. Life is too short to waste on people who only bring me down. This might seem like a small thing to you but ask any of my family and they'll tell you how terrified I use to be of theme park rides. I remember a trip to Thorpe Park, I went on a water ride that from the outside seemed innocent. Well, we turned round the corner to see a huge drop and I was practically trying to jump off the boat. During a school trip to Germany I finally put my fears behind me though, with the help of peer pressure, and hopped on a rollercoaster. And guess what? I loved it. I went on it another 4 times, soaking up the adrenaline. I'm gutted I left it so late to enjoy theme park rides because about a year and half later I had major spinal surgery that means I can no longer enjoy such rides. I'm proud that I did it though otherwise I would have been left wondering for all of my life about whether I'd enjoy theme park rides. Over the space of nearly 6 years I've written nearly 900 blog posts, and about 835 are still on my blog (I deleted some of the embarrassingly poor quality ones from my early days). That's a lot of words, a lot of words that I'm very proud of. I've talked about everything from lipsticks to ableism and I'm proud of my dedication to my little hobby. Me and my partner have been living together for around 9 months now, the time has flown by and it feels like a lifetime away when we were long distance. For around 2 years we regularly took turns to make the nearly 4 hour journey from Hull to St Albans, I won't pretend it was easy because sometimes it wasn't. We'd sometimes go 3/4 months without seeing each other because we are both disabled but we got through it and it was so worth everything we went through to get to where we are today. At school I thrived, I loved education and consuming education. I was smart as well, I got good grades and was in the top sets, yet I hardly ever believed in my ability. I loved creative writing but threw away so many stories that I'd written because I believed they were worthless. These days I believe in my ability more than ever before, when I pitch ideas to websites I pitch with pride, safe in the knowledge that I know I have something to offer. I still have my struggles but I know that I am good at what I do. I know that I've had a positive influence in at least one person's life and that makes everything I do so worth it. Here's to the next 20 years, hopefully full of more achievements and memories to treasure. I think this is a much better post idea than the 'things I've learnt' one - it's so important to remember what we've accomplished. You've taught me so much about Marfan Syndrome, ableism, and I can always see you fighting for a better world in your tweets. Here's to another 20 years of amazing work!